Zanu-PF officials in Manicaland want Government to review contentious farm allocations made by self-exiled former Minister of State Mandi Chimene. Wenselydale and Wakefield farms in Headlands, which were originally set aside for the establishment of Wenselydale Training Centre and Manicaland State University for Applied Science (Agriculture Campus), respectively, were later allocated to individuals, a Mr Nyamuswa and Mr Kudzi Chipanga. Mr Chipanga, who is the former Zanu-PF Youth League secretary, has since been expelled from the ruling party. Zanu-PF Member of Parliament for Headlands Cde Christopher Chingosho said other farms whose dubious allocations should also be reviewed are Mhandara, Kelvin and Lesbury. “The acquisitions and allocations were not above board. Top of the list is Lesbury Farm, and my argument is that if it was acquired for resettlement, preference should be given to the local people of Tandi because it is the only farm adjacent to the Tandi Communal Lands. “It is not that I am against its acquisition, no, but it should decongest the adjacent communal area. If that is not the case, then it is better to give it back to Robert Smart. Secondly, we have Kelvin Farm. During my campaign and take over from Didymus Mutasa in 2014, people were promised its acquisition. 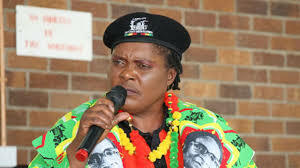 What surprised all of us is that Mandi Chimene allocated the whole farm to Professor Gudyanga and Booker Chinamasa. “Adjacent to it there is Mhandara Farm, which was occupied by youths during the land reform programme and the youths were removed on the understanding that they would be orderly allocated plots. Again, the whole farm was allocated to one person, Dakarai Mapuranga,” said Cde Chingosho. He said, learning structures at Wenselydale had since been transformed into livestock kraals and fowl runs. “The centre was officially commissioned by the former President (Cde Robert Mugabe) in 1991, but in her lack of wisdom, Mandi Chimene allocated it to somebody called Nyamuswa, who is based in the United States of America. “The buildings have since been converted into kraals. You find cattle and goats in classrooms. So, we are saying no. That place should revert back to its original purpose of being an agricultural training centre. “Wakefield was one of the three farms originally earmarked for the Manicaland State University of Applied Sciences, but was later allocated to Kudzi Chipanga. These are the most contentious farms, and our recommendation is that the offer letters should be withdrawn. The Manicaland State University of Applied Sciences has 2 000 hectares at Hawick and Springs farms. Manicaland State University Acting Vice Chancellor Professor Albert Chahwanda said there was no meaningful development made towards the establishment of the Faculty of Agriculture. “There are challenges with the site of the faculty. In August 2017, we received an offer letter indicating that we are supposed to use Hawick and Springs farms. We are following the law and the authorities took us on tour of the farms and we left the letters to the farmer, one FC Muller.